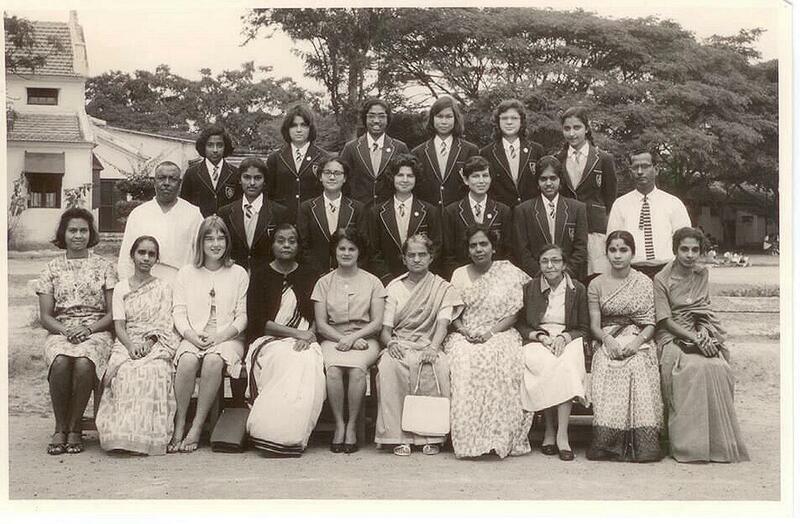 top row: Aruna Ponappa, ?, ?, ?, Elizabeth Abrahams?, ?, ?, Beena Ellore? 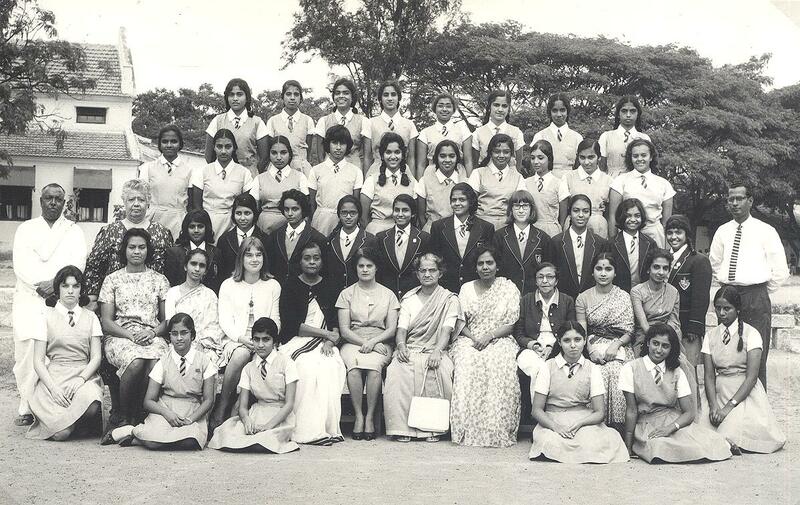 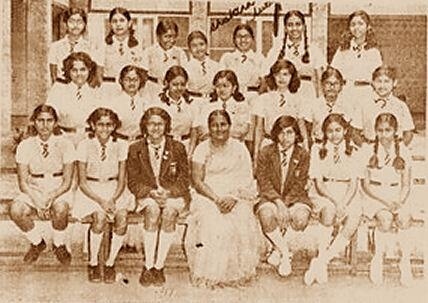 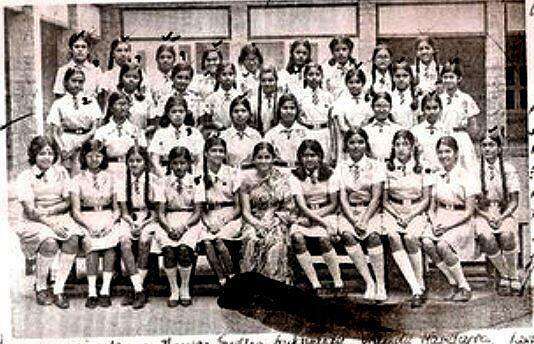 Standing 1st Row: M1Sandhya R, M2Roopa, M3Kumuda, M4Nalini, M5Jayanthi, M6Anita John, M7Sudha Kurup, M8Latika Bali, M9Nina Dhruve, M10Leena Athyal, M9Prema Furtado, M10Kajal Nagpal, M11Nandita, M12Anita Koshy, M13Jyoti C.
Part of Class Xb, 1981, taken near the Parents Block. 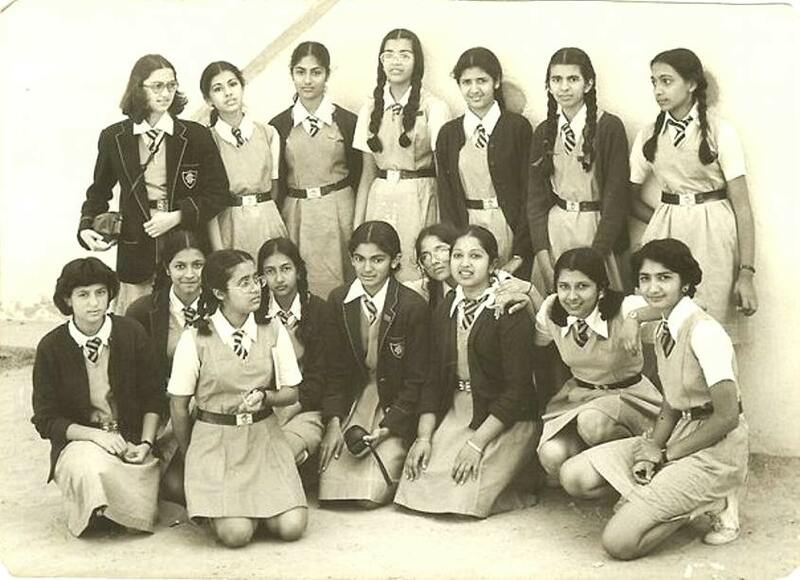 Standing L to R: Yamini Mundra, Sabrina Sattar, _ ("Puppy"? 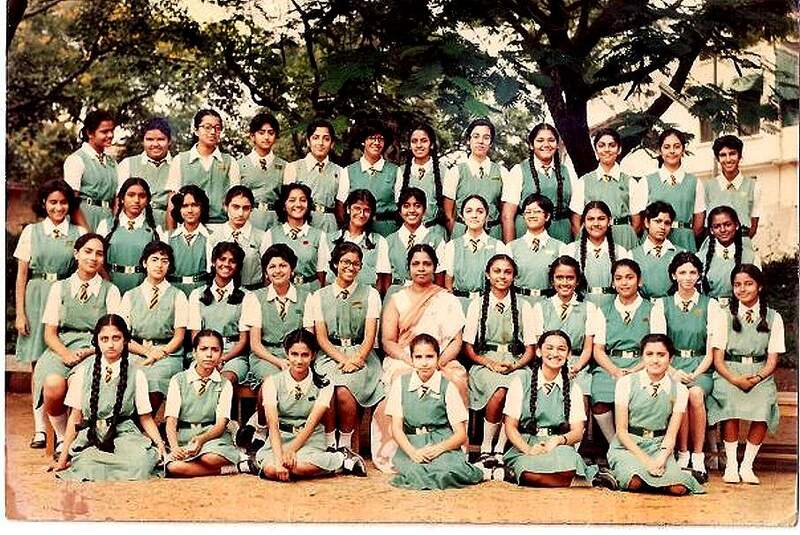 ), Mona, Shima, Sabina Nayar, Sunitha. 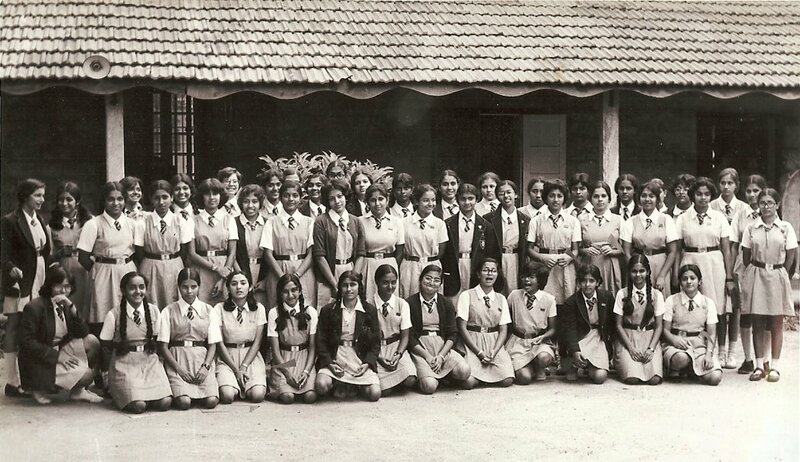 .. (please send more photos) ..